We started off looking at the amazing sea creatures. Like this lovely sea anemone. They had a fun sea horse exhibit. It was designed as a fairy tale with the sea horses as the stars. It made my heart happy. As we were leaving the underwater exhibit, Shaun and I encountered a shark that swallowed us whole! The next thing we came to was a flock of rabid penguins. They were eyeing the small crowd that had come to see them. We could tell they were just trying to decide which of us would be the most tasty. We nervously backed away from the penguins only to bump into Mrs. Walrus. We were safe from her. She had obviously already eaten some poor hapless child and was taking a quick nap. It suddenly made a lot of sense to quietly stroll over towards the herbivores. 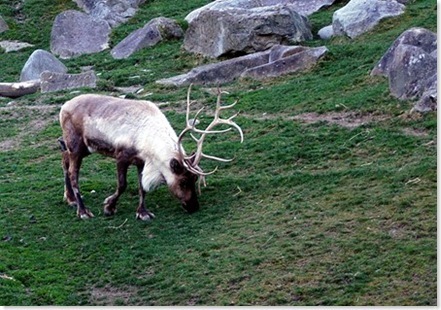 Sweet reindeer wouldn’t think of eating us….would they? Just when I was finally feeling safe, Sir Henry confronted me. He stared me right in the eye. I didn’t dare look away because I read somewhere that if you break eye contact with a mountain lion first it will attack you. 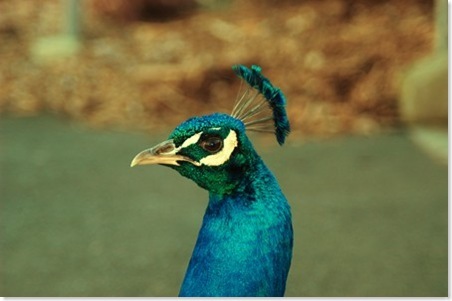 I wasn’t sure if that was the same case with peacocks as well, but I wasn’t taken any chances. This entry was posted in Adventures, Critters. Bookmark the permalink. Those are some wonderful photos, Susan. I love those first two shots in particular…. 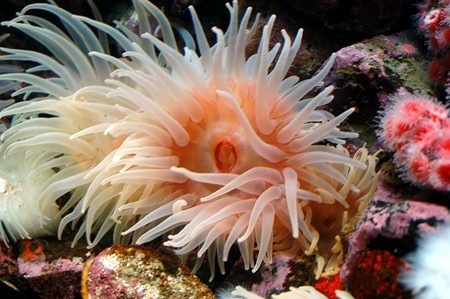 Your pictures are stunning, especially the sea anenome. I don’t know of many teens that would rescue their parents from a posessed shark. Looks like fun. I love zoos and I love aquariums. The best aquarium I’ve ever been to was the Monterey Bay Aquarium. So much fun! I also love drive through wild animal parks. Those are fun too. Cool pics! How on earth did I miss that you’re in my area? Some days I wonder about my brain. OH how I love Point Defiance. I have lived in Seattle my entire 36 years and I went for the 1st time last Summer to PD. I’d always gone to Woodland Park as well. The penguins were my favorite!!! 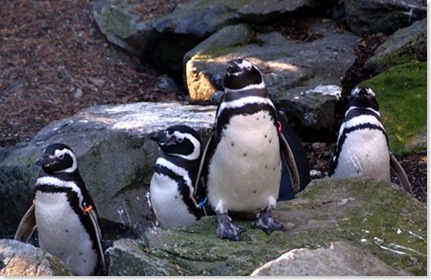 I have never been to the Point Defiance Zoo either. Will have to check it out. BTW, here in the Cascade foothills the sun is still shining this morning. Hubby is out cutting the grass! In February! Unheard of! Great photos. 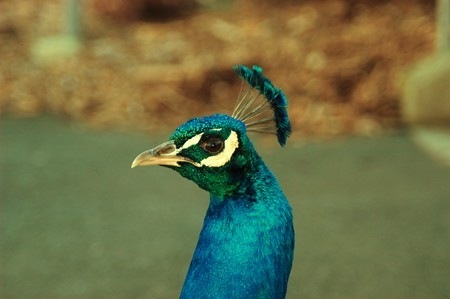 Especially the peacock. We had an experience with a Walrus at Sea World that was a little on the “excited” side. It was something to behold! 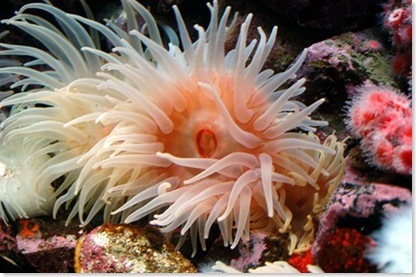 I love your Sea Anemone pic. Too adventurous for me. Great pictures and wonderful tale. 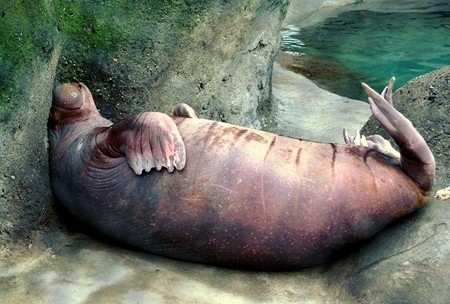 Next time I go the zoo, I’m going to watch out for those kid-eating walruses. Looks like fun! We went to that zoo one time and loved it! See those penguins? You know how they smell like fish? Well it’s not because the zoo keepers don’t keep them clean enough. I actually saw a bunch of wild penguins in South Africa (the same variety in your photo) and they smelled of fish too. That’s just how they smell. Oooo. 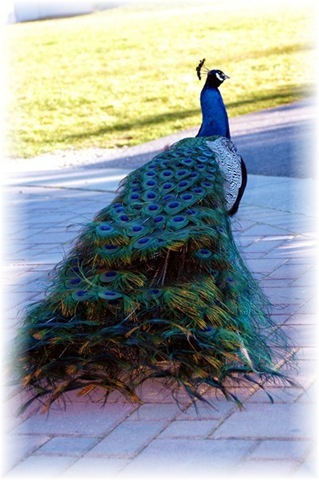 That back-shot of the peacock is BEAUTIFUL! Those are awesome! That first one is my favorite. My husband was in Fort Lewis last week. He said the weather was awesome!! I’ve always wanted to go there. Maybe this summer. What beautiful pictures!! I am amazed at how much I resemble Mrs. 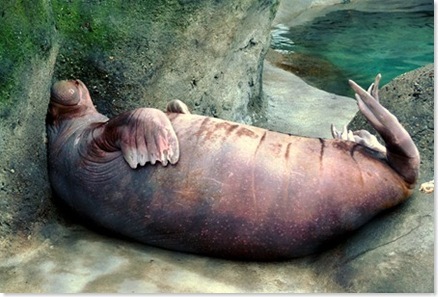 Walrus!! a lovely visit!..thanks for sharing the photos. i don’t know which is cuter…you & shaun in the jaws or the penguins. i feel like the walrus & wish i looked as glam as that peacock! The walrus picture is too funny. You really outdid yourself with the text. Delightful pictures and story to go with them. 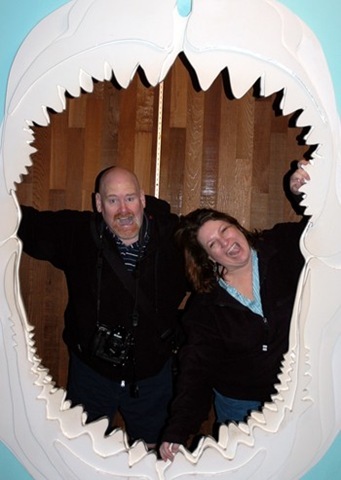 I love all the photo ops that the zoo and aquarium give us photobloggers. You look like you had fun! I just have one comment – what happened to the end of the sentence that goes…”Amazingly, in all the years we’ve lived in the Seattle area, I’ve never been to this particular park. It is n….” – was I supposed to learn some interesting fact about the park!! I’ve spent many hours in that park and the aquarium.. and down on the beach, too. Wow those look like amazing pics.. and what a wonderful day to have! !